We are long over due for an update. We have been staying busy here at Ventero. We have gotten our Open Mic Nights back up and running with great success. Also we have celebrated being open for 3 years! This year we were able to have a booth at the Taos Solar Music Fest and get some exposure in the Taos area. We are happy to have a couple new faces helping out at Ventero this summer. One of them is Maria Flemming, who is an art student up at Metro State College in Denver. The other is Matt Capell, who is a recent graduate from Adams State College. Matt will be helping out with the print shop and comes to us with a background in lithography. We have several other events and projects coming up, so make sure to follow us on Facebook to keep up with what is going on here. Open Mic Night is BACK!! March 20th will be the first Open Mic Night of 2010!! The fun will start at 7 p.m. here at Ventero. So come and share some poetry, music, monologues or just let out a rant. Open Mic Night is one of the ways that we raise money to help with our mission of keeping the arts alive in the San Luis Valley. Just realized that we have not posted anything on here for a long time. We have been surviving the winter, luckily it hasn't been too cold (crossing fingers not to jinx it). We have continued to have our Friday workshops with some local students. If you are in town, stop by, have a cup of coffee and see what we have been up to. The staff at Ventero wants to wish everyone a happy and safe holidays. We will be closed December 24, 25, 26 for Christmas. We will also be closed December 31, Jan. 1, and Jan. 2 for New Year's. Hoping for a great 2010!!! We have decided that as of Monday December 7th we will be changing to our winter hours. We are now offering Raven's Gift Sets for the holidays. 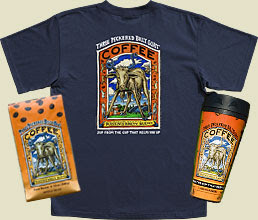 The gift set includes 1 t-shirt, 1 12oz bag of coffee and a travel mug, all for $35 dollars. Makes for great gifts or stocking stuffers. Come on in and place an order. Last day to order will be December 16th to make sure it is here by Christmas. With the end of the year fast approaching, it is always a good time to find a good tax write off for your 2009 taxes. 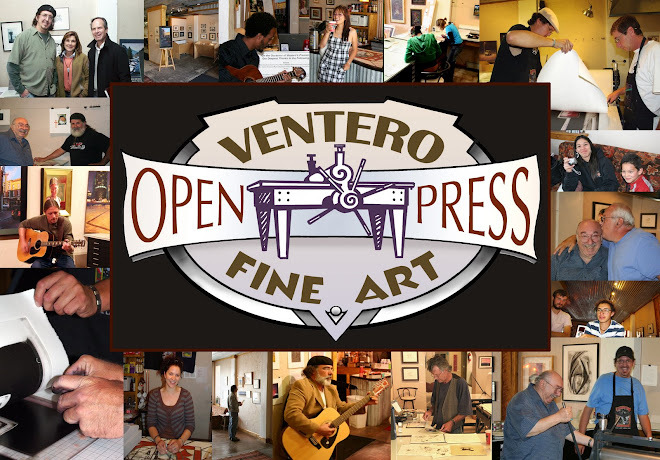 The great thing about donating to Ventero Open Press is that you are able to a great tax credit since we are located in an Enterprise Zone. Donors can receive a 25% Colorado State Income Tax Credit for donations over $100. Corporate donors may save an additional 54% on Federal Income Taxes and 5% on Colorado State Income Tax. So why not get a tax credit and give to a great cause? 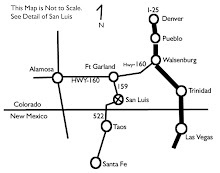 If you have any questions, feel to contact us or ask your tax professional about the San Luis Valley Enterprise Zone. Open Mic Night will be October 17th this month. Come share poetry, music, monologues, or anything else. Also this month we will be doing raffle of Raven's Brew merchandise. Since we were profiled on their website, they sent us some swag to raffle off during Open Mic Night. We have a couple of t-shirts, couple of bags of coffee (whole bean), some travel mugs and the grand prize will be a Randy Pijoan poster of his "El Chapultepec" piece. Hopefully we will see you there. P.S. Melissa Chavez Romahn (one of our volunteers) who is a massage therapist has offered a couple of gift certificates to also be raffled off. Anne Jenkins once again is giving Ventero Open Press some good publicity. After she spent some time in the San Luis Valley painting and printing, she has done an article for "American Roads". The article is all about her time in the Valley and at Ventero.